Teaching Medicine: Organic Herbs have Arrived. Finally got a new batch of herbs and ready to proceed with a few more projects. 100%Organic Herbs. Planning on making spagyric tinctures out of them. Will be crafting with the intention of them being doorways to the different planets. Looking forward to working with all of these beautiful ingredients! 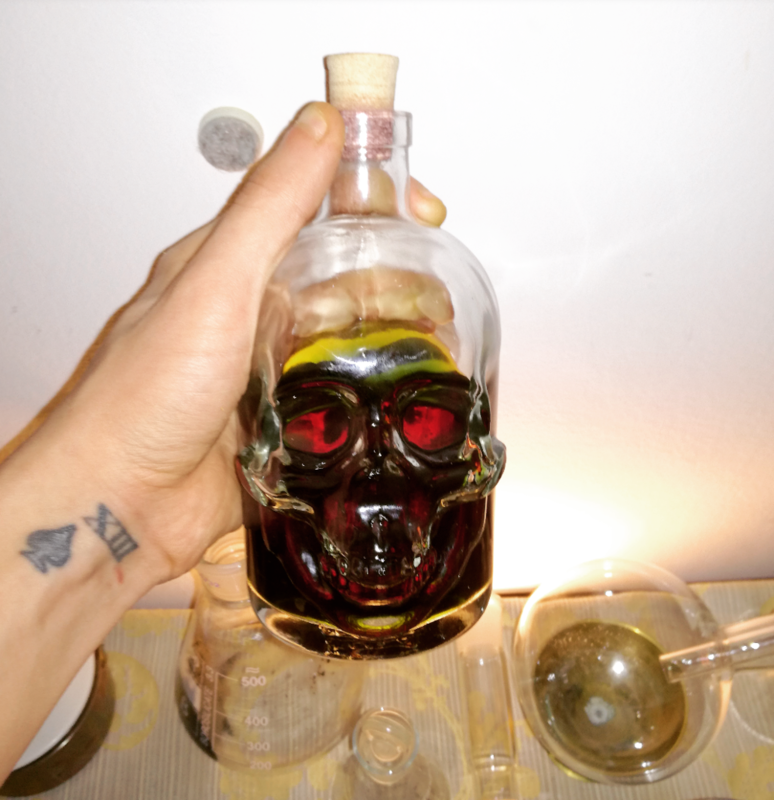 A spagyric tincture differs from a normal tincture, in that we do not just macerate the herb in alcohol. But we filter out the plant matter, burn it to fine ash, leech it with distilled water to obtain the water-soluble alkaline salts, and those salts are added back to the tincture. This creates a transformation of the tincture, since the alcohol binds to the compounds in the plant which form mostly acidic esters. If our tincture is concentrated enough, the salts will react with the tincture, further transforming those ester compounds through saponification processes in an acid-base reaction. This changes the fundamental constituting elements of the tincture. Making all of the compounds even more bio-available and increasing the potency of some of the compounds due to pro-drug transformations. The Sapgyrics process is inspired by alchemy in the sense that it builds medicine using all 3 components of a Plant. The Sulfur(The Soul=Essential Oils) , The Mercury(Spirit=Alcohol), The Salt (Body=Alkaline Mineral Salts). A normal tincture contains just the Soul and Spirit, which will affect our end result in that it mostly will act on those levels within us. By adding the Salt back, we are attuning the medicine to also work more effectively on our own Body. I will be crafting a few Elixirs with these ingredients, if you wish to join in feel free, I will be documenting how you can follow along and create your own Spagyrics. All you need is Alcohol (96%Grain-Alcohol), Herbs and some minor material for processing. Rose Hip& Rose Buds = Elixir of Venus. After these we will continue making an elixir for the remaining 3 of the seven planets. As I document the creation process I will add more information into the properties, and uses of each recipe. Chamomille, Rose Bud&Hips, Ladies Mantle, Black Pepper and Turmeric.